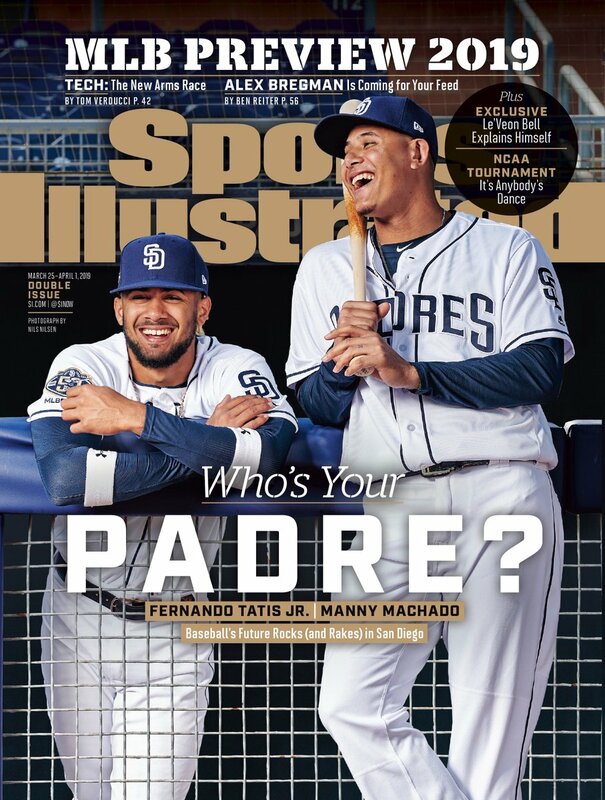 Gracing the cover of the March issue of Sports Illustrated was none other than Padres’ newest players Fernando Tatis Jr and Manny Machado. With the $300 million deal for Machado, the Padres ownership dropped serious dollars to give the San Diego fans a winning team in 2019. Opening Day was the first show of faith from fans, as this year’s home opener sold out the earliest it has in over a decade. So, who’s jersey should you be rocking this season? Read below for the scoop on these highlight players. Manny Machado – Signing a $300 million deal gave him the 5th highest contract in the MLB. Signing him to the Padres brought some serious momentum to San Diego. His first week as a Padre he has shined defensively and is catching up with his bat as he hit his first home run as a Padre against the Diamondbacks. Fernando Tatis Jr. – At just 20 years old, Tatis was ranked the No 2 prospect by MLB Pipeline. In a surprise decision, Tatis made the Padres Opening Day roster and racked up two hits that game. He is also the youngest player over the past 20 years to make the Pads Opening Day roster. Wil Myers – Padres vet, Myers hit the first home run of the season. With many speculating that Myers is benefitting the most from the team’s major shake-up, expect to see a lot from him this season. Eric Hosmer – When Hosmer signed with the Padres in February of 2018, he held the largest contract in Padres history at the time. He has had a strong start to the season and is expected to serve at the No 2 hitter. Ian Kinsler – Another recruit from 2018, Kinsler has enjoyed a great baseball career. He is known to provide serious value to defense, as well as being in the running to make the Hall of Fame. Chris Paddack – This power pitcher made his major league debut at Opening Day and did not disappoint. This young rookie has earned his place so far and is one to pay attention to this season.